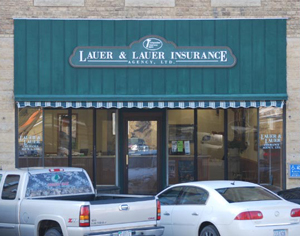 Lauer & Lauer Insurance Agency was established in 1954. Currently owned and operated by Michael & Lynn Lauer, Lauer & Lauer Insurance Agency continues to proudly provide insurance to individuals in and around Fayette County. As an independent insurance agency we are dedicated to giving careful consideration to the companies we represent. We look for strong companies with quality products to meet the needs of our Northeast Iowa clients.